Well said admin. This is a well oiled machine being operated by a qualified professional. My only worry is the complacency which we witnessed against think in the defence and goalkeeping departments. We should minimize backpass and oluoch should clear them as fast as they come or else we will get punished by the likes of jese were. the table tells the same story as that above in points form. After next game with Kimanzi (Tusker) with whom I have some beaf (remember he said about 2 years ago, that Gor could not beat his 9 man team) we will begin the countdown towards 60 points which could mean seven more wins to the third straight championship. Kimanzi’s Tusker will be a difficult game just like all the teams do when playing Kogalo. But we will prevail. Cylinders it is , personally it sounds like ‘ Kogallo invincibles’ , Mayienga, yiengo piny’ and there is a lot of things in common with the class of ’83. Class of 1983 – Coach – Julians, Goalkeeper – David ochieng, Midfield – Zangi, Pierre and Charles otieno and Strikers – Hezborn Omollo, Abdalla Shebe and Onyango Jogoo. The strikers scored an incredible 80 goals in 36 matches – a league record and Kogallo won 3 consecutive league titles. Class of 2015 – Coach, Nutall, Goalkeeper – Boniface Oluoch, Midfield – Aucho, Gatusso and Walusimbi and Strikers- Olunga, Kagere and Abondo. The three strikers have so far scored 24 goals in 14 matches …..can they break the 80 goals record and deliver another 3 consecutive league titles ?????????? Talk of history repeating itself with another British Coach !!!! I remember that class of 83 and i was thinking the same thing of the good old times being back. That front line was like Barcelona’s MSN where at least one of them would score two goals per match and Gor’s kama kawaida score was 4-0 or 4-1. I am really enjoying this current form. Great analysis Admin.We pray to God for another sweet win on sato against Tusker! Admin, the last point is spot on. We need to lift this club ever higher. Great article. However our biggest problem in Gor Mahia and other self supporting teams is lack of structure and poor governance. Clubs like Gor Mahia and Ingwe should not be complaining about lack of finance while they enjoy fanatical fan base that can be tapped to bolster the clubs finances. I have just been wondering how these clubs have been surviving without better structures being put in place and this is a wake up call to the current office bearers and all stakeholders. With the Sports Act now in place, it is now the right time that Executive Committees led by club chairmen should consider introducing proper corporate structures and these structure will change these two great club in order to attract several corporate sponsors all over the world. The club should also change their corporate structure by having board of director led by the Chairman and Executive Management Committee led by the Chief Executive Officer. Where are the referees like Davies Omweno, Aden Marwa, Anthony Ogwayo, Damris Kimani, Peter Sabati, Israel Mpaima, Juma, Sylvester Kirwa and other good and competent referees. Why can’t KPL and FKL agree to bring on board these competent qualified referees in the second leg of KPL matches? The game is suffering from incompetent officiating due to personality issues and indifferences that can be sorted out amicably in broad day light for purpose of the development of soccer in the country. Wow! my team 4reva kogalo damu.. kisumu kogalo anarudi hocha! hehee tusker mtaweza? Nairobi Kogalo fans should have pleaded their case for the Gor, Tusker game to be played at city. 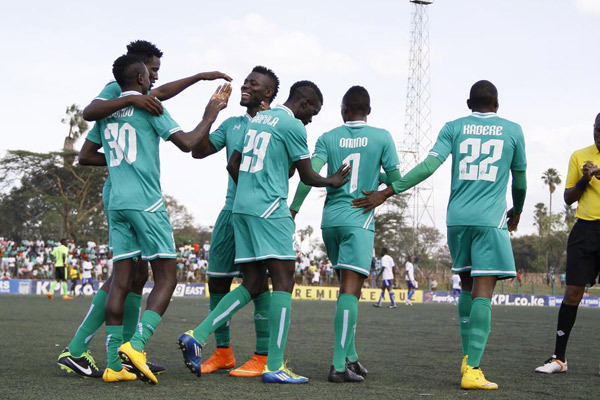 Gor is the home team and they stand to make way more money in Nairobi than Kisumu.The team is hurting for money, this game would have provided a huge financial boost as many fans would have turned up at city given the current Gor form. The VIP at Moi stadium is too small compared to city or nyayo. The fans who were complaining about the match been taken to Kisumu during the Thika game should voiced their concerns rather than just complain from the stands. It is about time to reap 3 more points from Brewkenge. Tusker 1 Gor. 0. Take it to the bank? Satan asindwe mara Isirini!!! !, GOR 2 TUSKER 0. Take it to Super Market if don’t want take it to the Bank!!!!. We have Players who will teach Kimanzi some few Lessons for he left them to go wherever they like. Boni,TGS and the Engine (Aucho), ngoja tu uta ona MOTO!!! !